Where Roots And Wings Entwine: Chester Zoo PLAY! and animal antics! Chester Zoo PLAY! and animal antics! 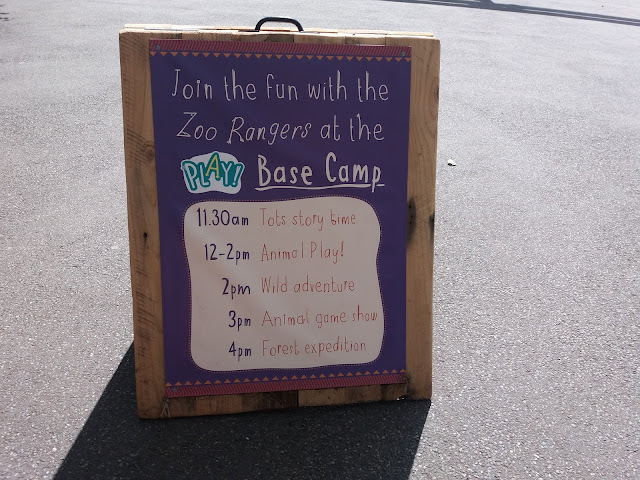 I recently wrote about my memories of our previous visits to Chester Zoo and how I was excited about our plans to head there again this summer to check out their new PLAY! space and to see the magnificent animals. On our recent city hopping holiday that saw us explore a number of cities in the North we visited Chester Zoo and it excelled our excited expectations! Arriving at the zoo for its opening time at 10am we were keen to explore, play and have animal adventures. Knowing from experience how expansive the zoo is and that our little ones’ legs get tired from playing, running and exploring we decided to hire out one of their double buggies. With map in hand and great signposts throughout the zoo helping us find our way we set off exploring. Both of the boys loved seeing the animals. They especially loved the baby animals that we saw on our travels through the zoo. Seeing the black Rhino and her adorable calf was a particularly special moment that we were delighted to see. Another highlight of our visit was the boat ride on The Islands. Both of the boys loved riding on the quaint boat along the river taking in the sights. Along our travels through the zoo the boys loved acting like animals as well as playing and interacting with the different play areas with the animal footprint crossroads and Makazi ranger camp being firm favourites. Bug also loved learning about the different animals and habitats. Being huge fans of all things play the boys beamed at the sight of the new PLAY! basecamp where they delighted in PLAY! at Chester Zoo by exploring the fun activities and areas. With giggling grins, happy faces and tired feet after a full day at Chester Zoo we left with fond memories of majestic animals and perfect PLAY! We loved every moment at Chester Zoo and only wish it was longer. Hopefully we won’t leave it so long next time before we visit again. The only negative was that we were so busy talking about the highlights of our day as we left that we forgot to get a keepsake Chester Zoo penny coin for the boys to add to their collection.